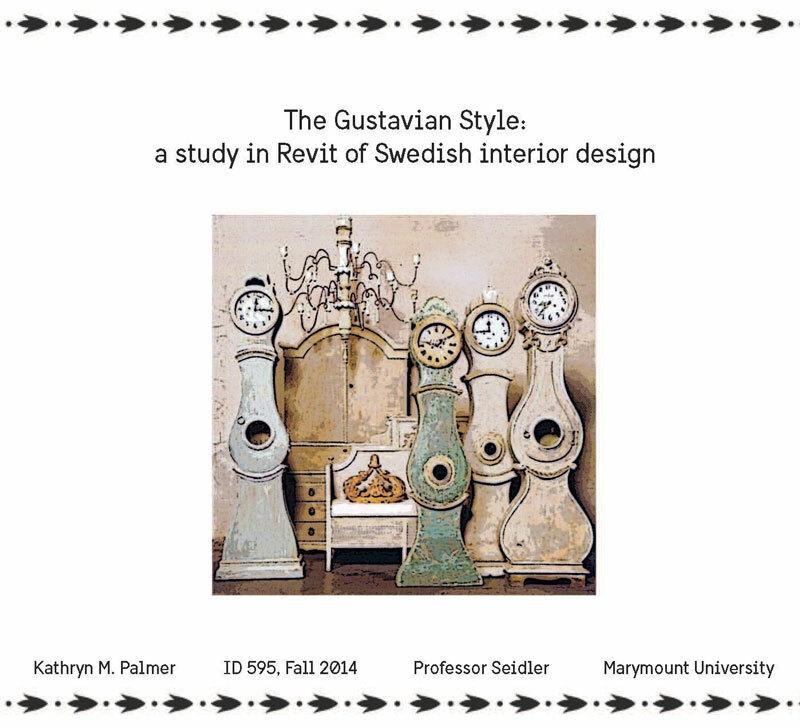 This project related indirectly to my thesis topic. 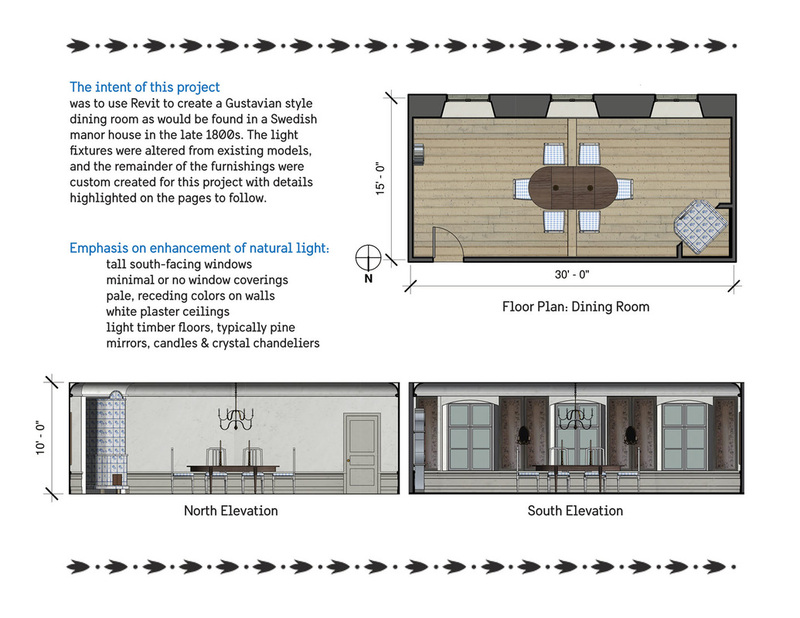 In prior studio work using Revit I had relied upon and begun to feel constrained by use of pre-existing Revit families. 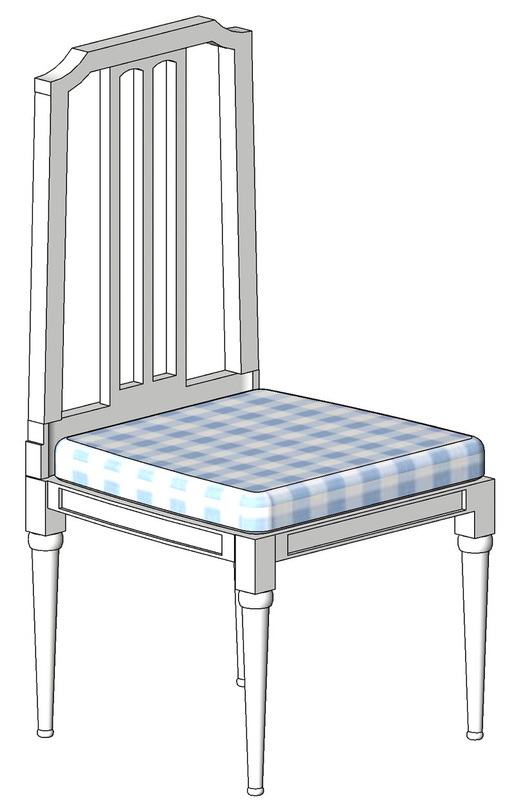 In order to move beyond my "Revit comfort zone", I needed advanced modeling skills to alter and create Revit families. 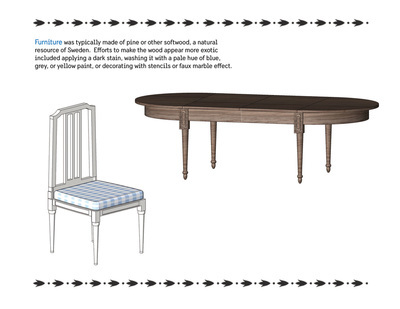 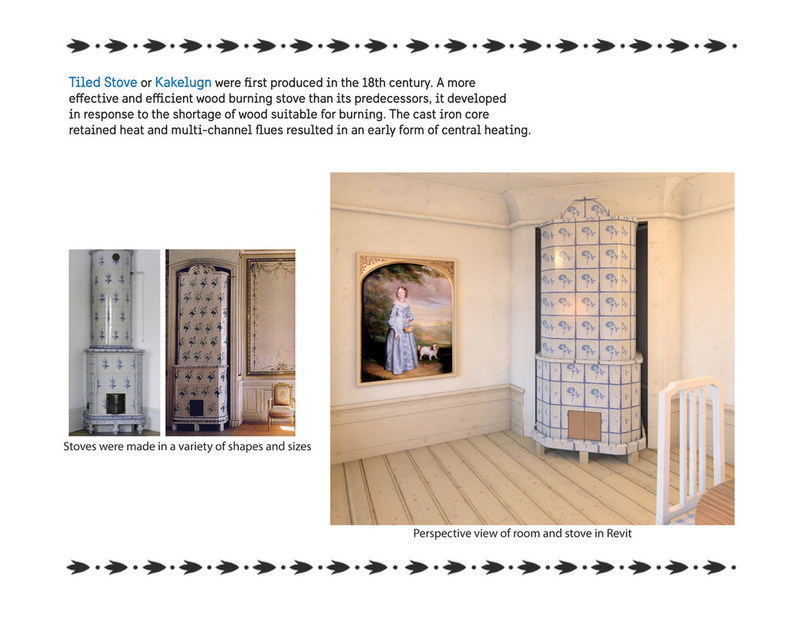 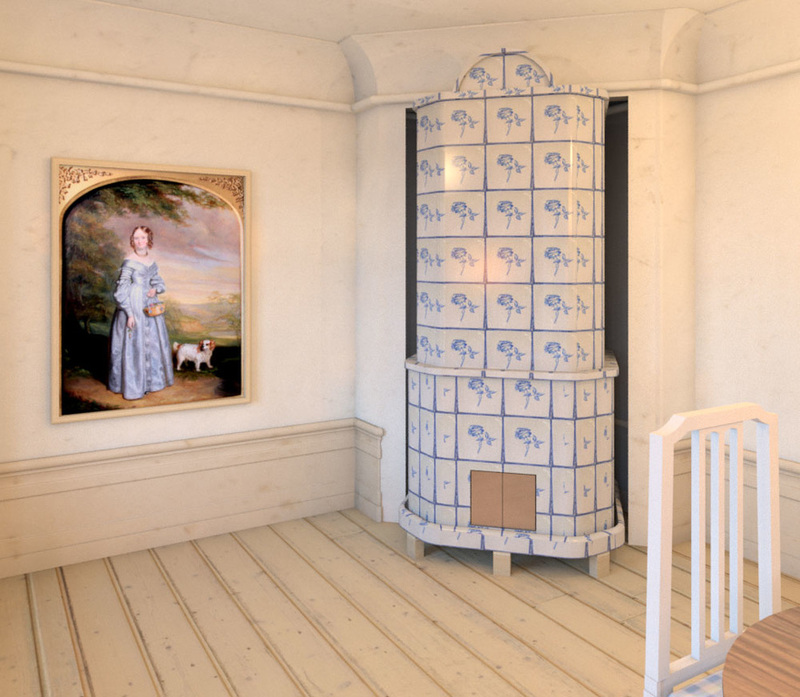 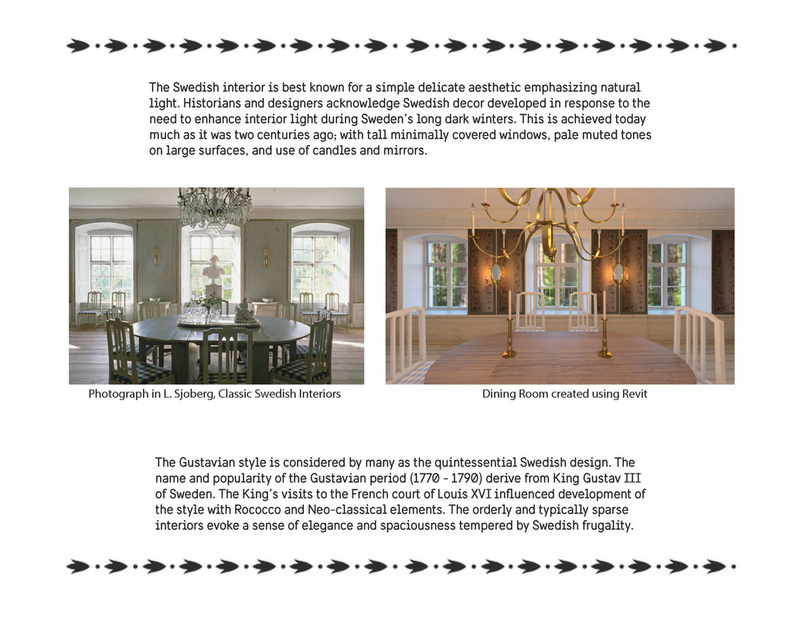 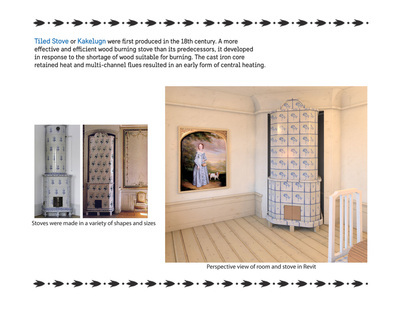 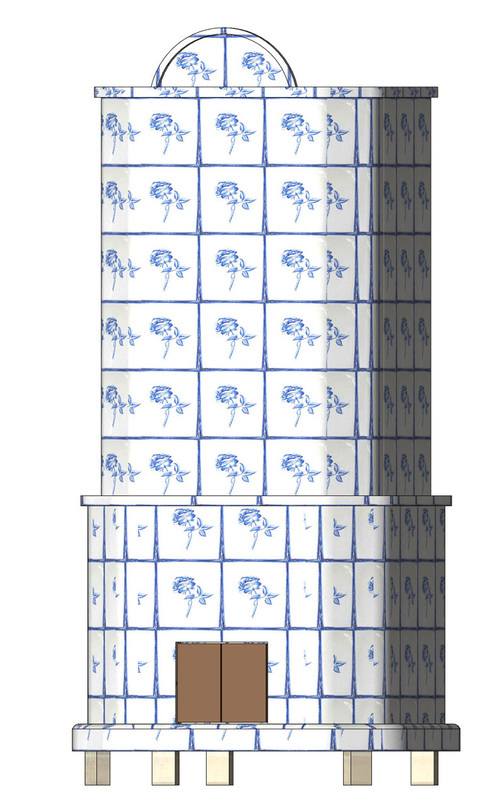 My choice to design a traditional Swedish interior offered multiple opportunities for this type of custom modeling. 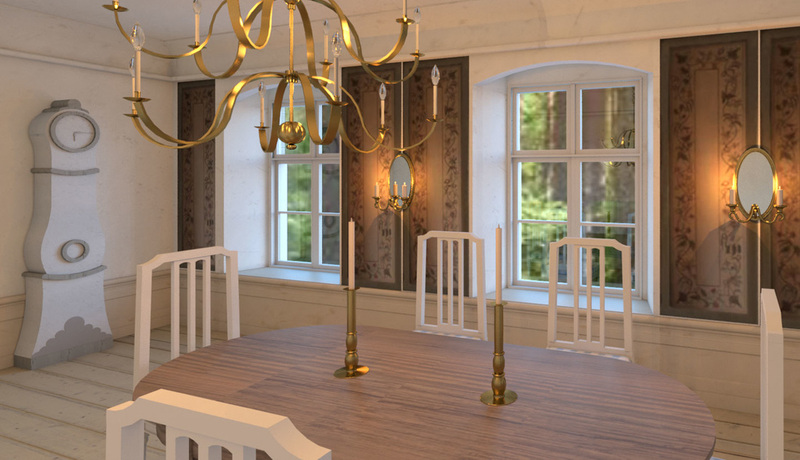 After researching Gustavian period interiors, I set out to recreate a photograph of a dining room in the book Classic Swedish Interiors by Lars Sjoberg. 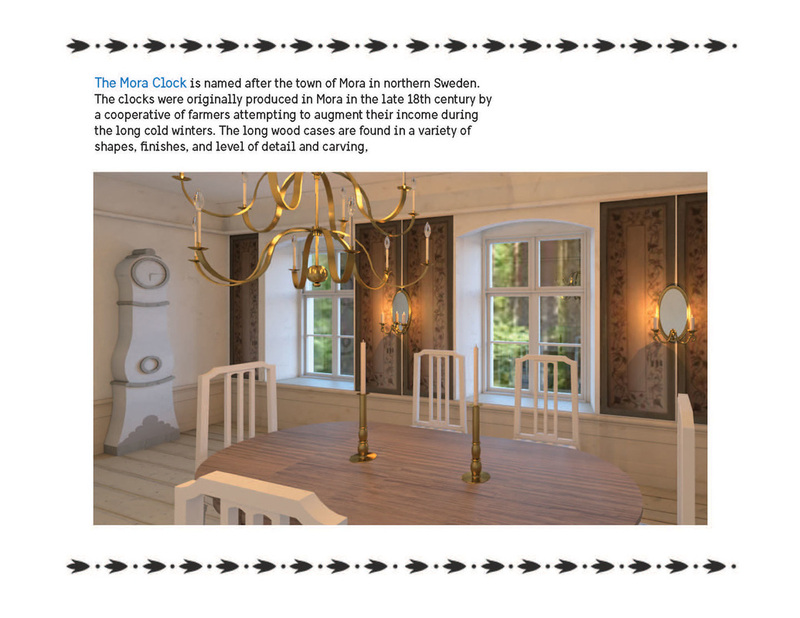 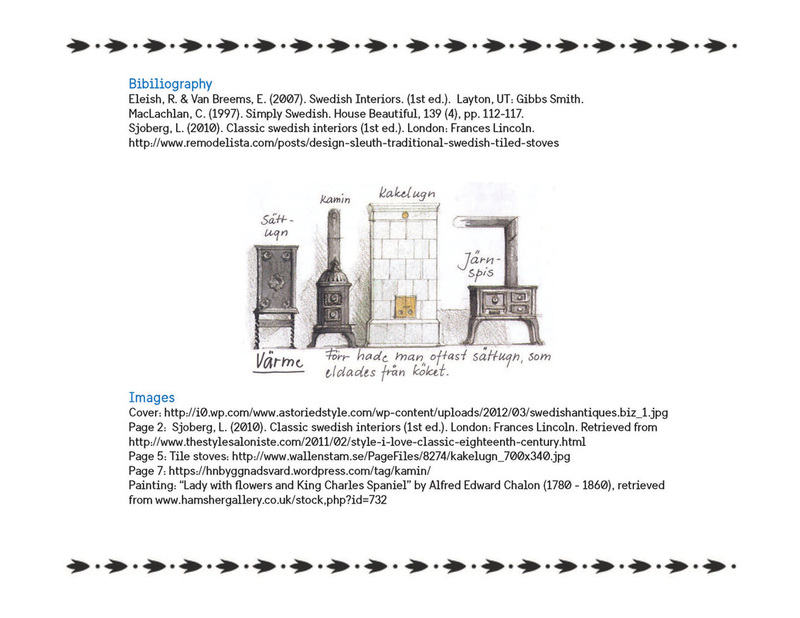 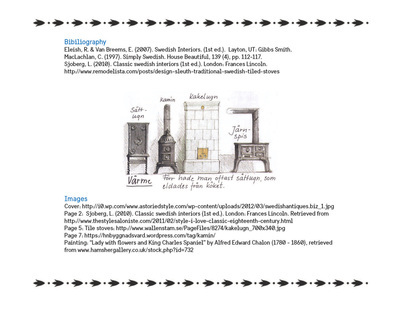 For this room I designed the custom moldings, traditional pine flooring, Gustavian style table and chairs, candlesticks, a traditional Swedish Mora Clock, and a kakelugn (tiled wood-burning stove). 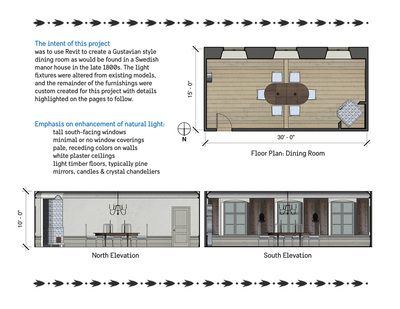 This new ability to create Revit families was liberating and a turning point for me in use of the software. Click on images below to read more.